At HackerYou, we’re on a mission to offer the best learning experiences for people who want to learn coding, design or other digital skills. Our recipe is a combination of hands-on, project based learning from industry-leading professionals. 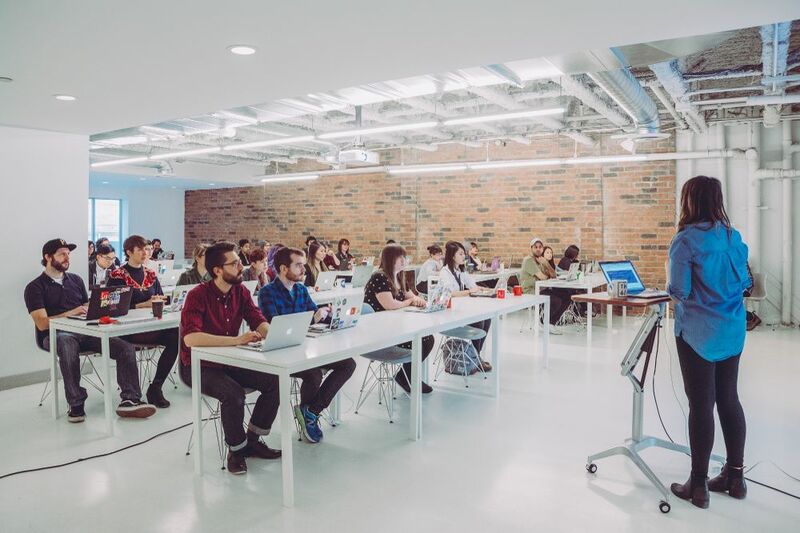 Our courses feature small classes and a 10:1 ratio of students to instructors, hosted at our custom-designed 12,000 square foot learning centre in downtown Toronto. With both full-time and part-time courses, we’re confident that HackerYou can fit into your life.